By now finance leaders should be acutely aware of the revenue recognition rules (ASC 606 & IFRS 15) that go into effect in January 2018 (2019 for private firms). But many underestimate the effort, time, and resources required to become compliant on time. 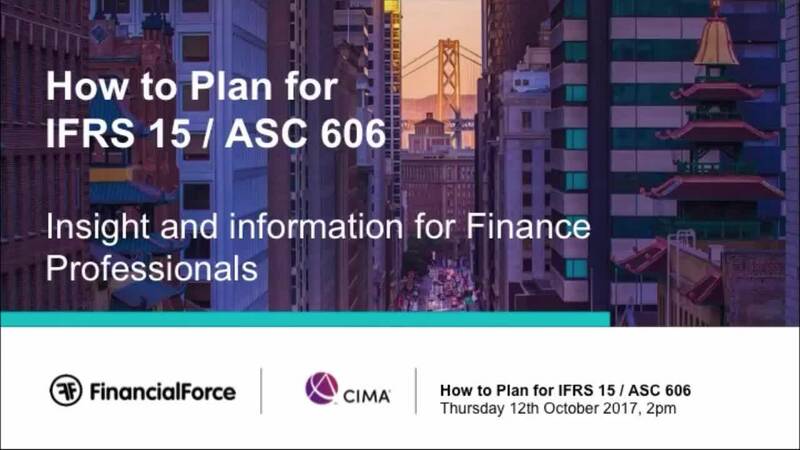 Watch the webinar now to hear Chris Hooper, Senior Editor, CIMA Media and Colin Glass, Financial Controller EMEA, FinancialForce explore what the new standards mean for your business and how to identify the resources and best practices to remain compliant.